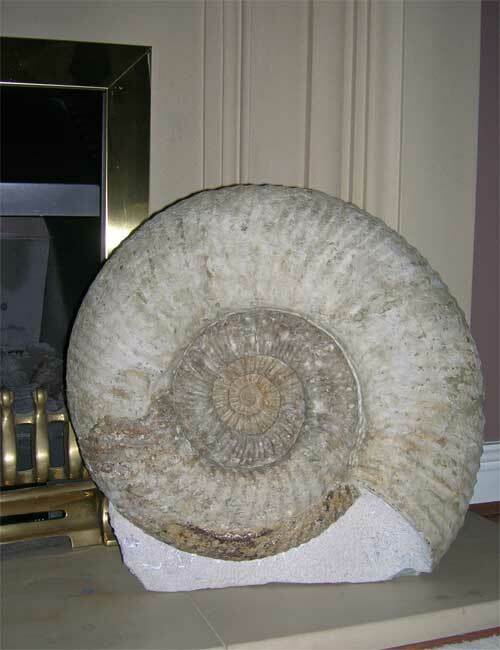 These massive ammonites from the Portland stone make exceptional display pieces for either the serious collector or indeed an interior designer looking to achieve that unique look ! 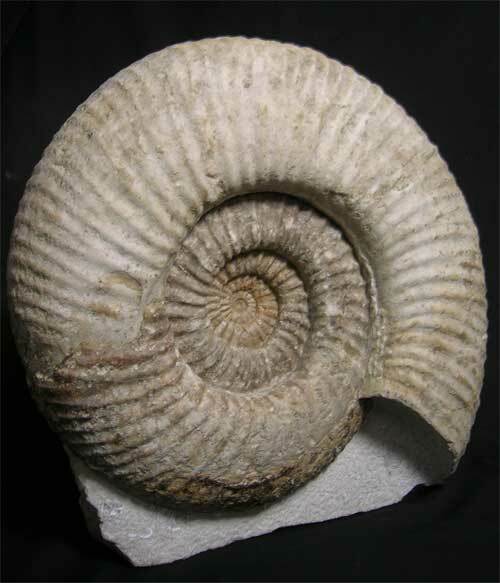 These large, highly ribbed ammonites are very rare to get hold of thesedays, this one has been prepared on a piece of matrix which is rare in itself as usually they are matrix free. The matrix has a cut base for ease of display. 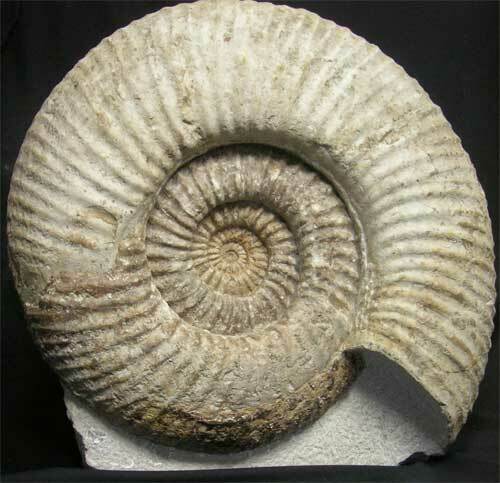 The very centre has a small amount of restoration which does not detract from this beautiful Jurassic ammonite which is a classic. Approximately 150 million years old.